What we know and what we believe are not all that significant if they do not show up in the way we live our daily lives. Pure and simple, faith not lived out in everyday life is not faith; it is facade. 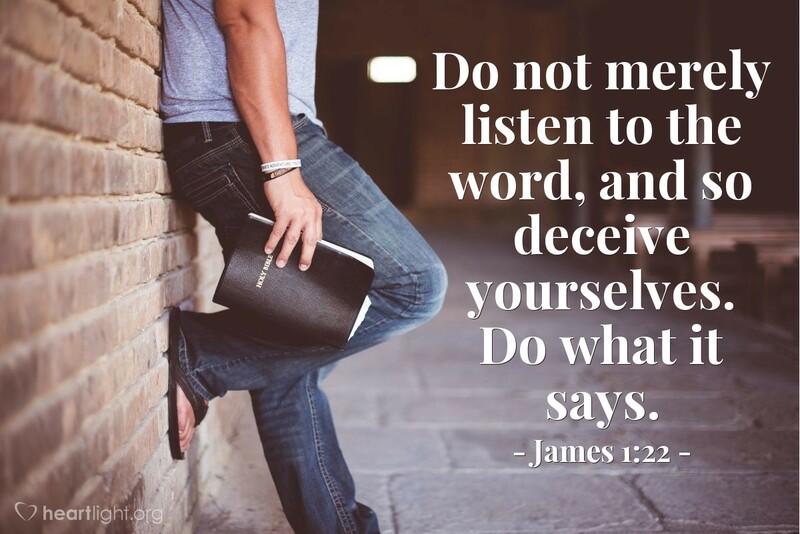 Just as Jesus had told us to put into practice what we have learned from him, his brother James reminds us the same thing: when we learn the truth of God's word, there is only one thing left for us to do: put it into practice! Holy God, help me put into practice what I know is your will and your truth today. In the name of the Lord Jesus I pray. Amen.